We connect Madrid and Stockholm with seven flights per week! Stockholm gave us both ABBA and the Nobel Prize. Although it is Sweden's largest city and is spread across 14 islands in its archipelago, you can easily visit it on foot. The majority of the city's surface area is covered with either water or lush, green areas. 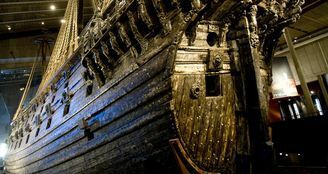 Along with Gamla Stan ("Old Town"), be sure to visit the green island of Djurgården, home to some of the main tourist attractions such as the Vasa Museum, the Nordic Museum and the Gröna Lund amusement park. 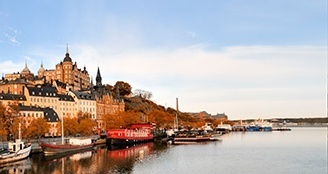 This quarter is one of the largest and best preserved medieval city centres in Europe. Gamla Stan, founded in 1252, consists of the island Stadsholmen and two nearby islands. Although the area is populated by residents, the shops and restaurants are what really bring it to life. 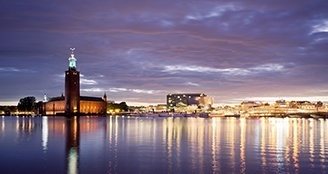 Be sure to visit the Royal Palace, the Nobel Museum and Stockholm's Cathedral, the Storkyrkan.